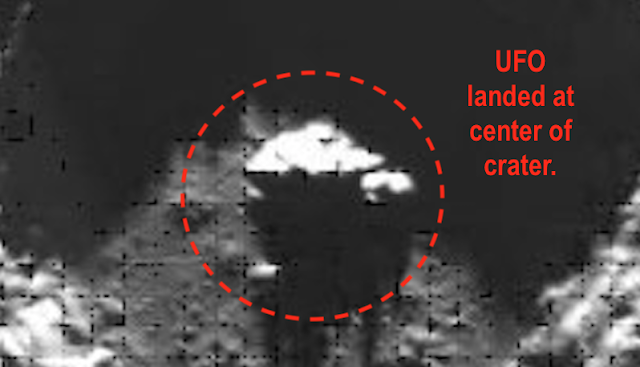 UFO SIGHTINGS DAILY: 25km long triangle UFO found in Plaskett crater, Earths moon, Photos, Nov 19, 2018, UFO Sighting News. I found a large triangle UFO that was sitting in the center of a crater on the moon. 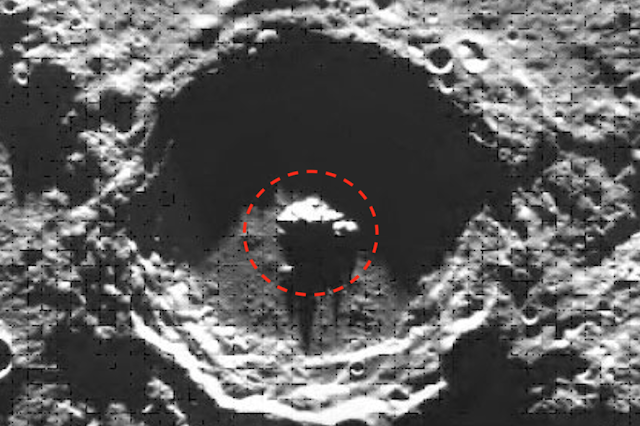 The UFO is dead center in Plaskett crater. ESA says that crater is 109km in diameter. That would mean this UFO is 25+ miles across! The shape and size would be fitting for a craft that travels across the universe. Sitting in the center of the crater makes me wonder if its been abandoned due to being outdated? Often I find ships in craters, however they are usually parked close to the inner edges so that they have some shelter to protect them. There is no intent or worry about have such protection here. I find that odd.